The Wake County Public Libraries are kicking off their Big Read Program on Sunday, January 31, and I’m pleased to be part of the festivities! 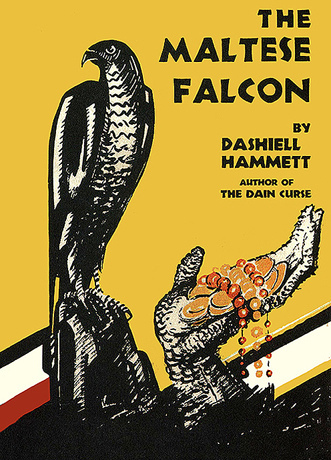 The Big Read, sponsored by the National Endowment of the Arts, seeks to broaden “our understanding of our world, our communities, and ourselves through the joy of sharing a good book”—in this case Dashiell Hammett’s classic 1930 detective novel The Maltese Falcon. As part of the January 31 event, I’ll be discussing Hammett’s central importance to the development of American crime fiction and the enduring appeal of this particular book and its now-iconic main character, private detective Sam Spade. In addition to the lecture, the event includes a performance by Sidecar Social Club, featuring speakeasy-era jazz, and a reception—likely not with speakeasy-era cocktails (fair warning). The program runs 2-4 p.m. at the Cameron Village Regional Library, 1930 Clark Ave., Raleigh, NC. In addition to the kickoff event, the libraries have planned more than 70 other events continuing through February and March, and including book discussions, film screenings, lectures and workshops. Check out the full list of events here—and get your copy of The Maltese Falcon soon! It’s a not just a Big Read, it’s a great one.